Cement Plant requires raw materials including calcium, silicon, iron and aluminum majorly. Such raw materials are limestone, clay and sand. Limestone is for calcium. It is combined with much smaller proportions of sand and clay. Sand & clay fulfill the need of silicon, iron and aluminum. These raw materials are large size rocks that need to be crushed in to smaller size rocks, Crusher reduces the size of large rocks to the size of gravels. Raw materials from quarry are now routed in Cement Plant laboratory where, they are analyzed and proper proportioning of limestone and clay are making possible before the beginning of grinding. Generally, limestone is 80% and remaining 20% is the clay. Hammer Crushers: Raw materials from quarry are now routed in Cement Plant laboratory where, they are analyzed and proper proportioning of limestone and clay are making possible before the beginning of grinding. Generally, limestone is 80% and remaining 20% is the clay. Impact Crushers: Impact crusher is best suited for brittle hard to medium hard raw material crushing. In the impact crusher the feed material entering the crushing chamber encounters the impactor bars immovably mounted on the rotor and revolving with it at a circumferential velocity of 30-45m/second. The fragments are flung against the upper breaker plate, rebound into the crushing chamber, are again subjected to the action of the impactor bars, and so until they have been sufficiently reduced to pass through the upper gap onto the space between the two breaker plates. Here the process is repeated until the material is fine enough to pass through the second gap. Compound Impact Crusher: compound impact crusher the two stages – primary and secondary – are combined in a single machine this is a dual – rotor crusher in which the primary rotor runs at 35 m/ second and the secondary rotor (mounted below and to one side of the primary) runs at about 45m/ second circumferential velocity. The maximum product particle size is determined by the bottom gap formed by an additional ridged comminuting anvil plate. Compound crushers can accept feed lumps up about 1.5 m size reducing it to a product in which 95% is smaller than 25mm, corresponding to a reduction ratio of 60:1 achieved in a single pass. 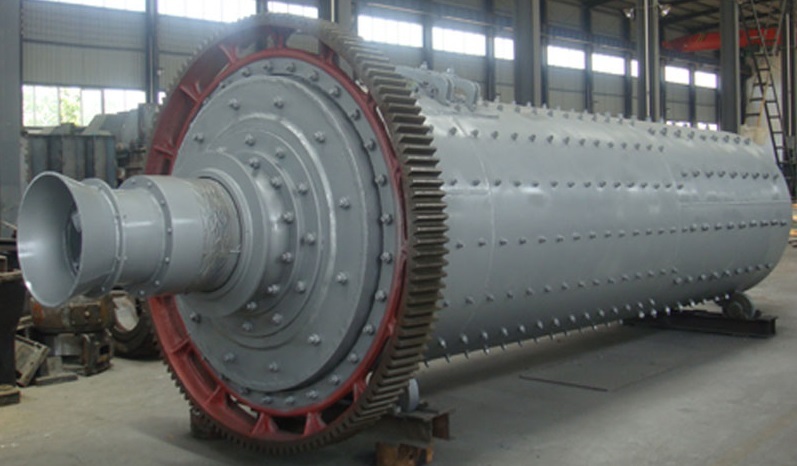 Jaw Crushers: Jaw crushers are used for the primary reduction of very hard and abrasive admixtures for cement manufacture.The reciprocating motion of the crushing jaw of the double – toggle (or Black type) jaw crusher subjects the material to a mainly compressive action. This machine is especially suitable for crushing very hard material fed in coarse lumps. In the single-toggle jaw crusher the jaw moves not only backwards and forwards but also up and down, so that there is attrition as well as compressive crushing action. Crushers of this type are more suitable for the reduction of hard to medium hard material fed in smaller lumps. Roller Crushers: Roll crushers are used for the primary reduction of medium -hard moist and abrasive materials such as marl, shale and clay. The feed is subjected to compressive and shearing action between a pair of counter – rotating rolls, which may be either smooth or corrugated or provided with tooth – like projections. The teeth give better bite to the feed and concentrate the action of the crushing force, enabling large and compact pieces of rock to be split. Reasonable design and strict manufacture.